Let’s take a minute to talk about Tailwind. 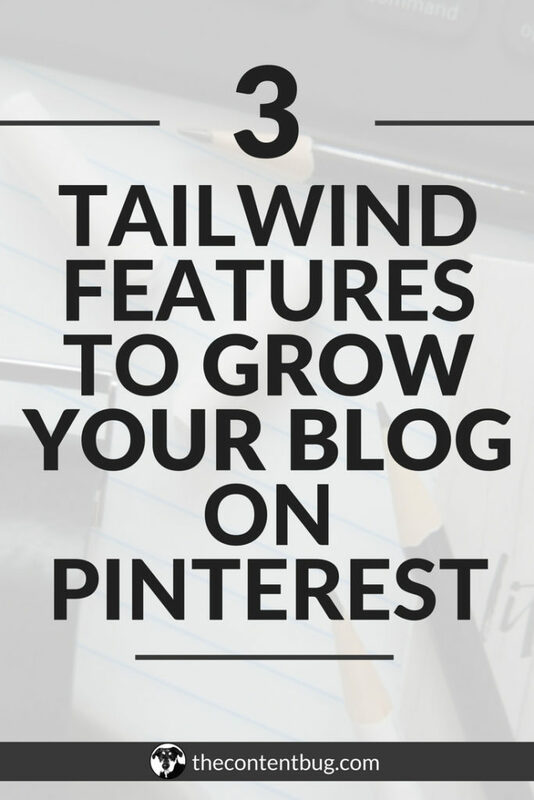 Tailwind is a popular automation program that allows you to schedule posts for Pinterest. It also works for Instagram, but it is known for its Pinterest automation. If you use Pinterest regularly, then you might have heard of Tailwind. It is said to help increase your followers, improve your Pinterest account, and ultimately lead more people to your website. But how can all this be possible with just one automation program? Trust me, I started out a little skeptical too. Sure scheduling pins for Pinterest is nice. 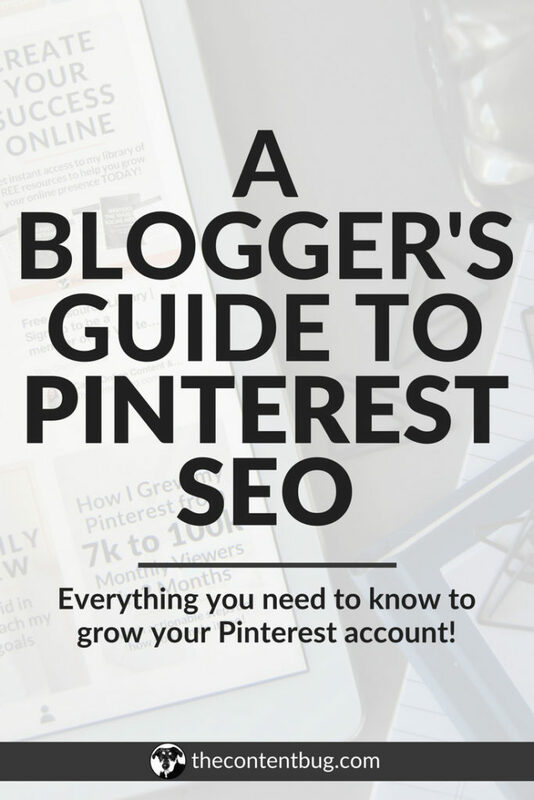 It saves you time so you don’t have to check Pinterest every day and pin multiple times a day. With Tailwind you can sit down for an hour, pick a hundred pins, and schedule them to be shared on different days at the best time. That sounds great and convenient, right? But how will that lead to more website traffic? Take it from me: Tailwind works! In a month, I gained 264 Pinterest followers. And my site traffic that came from Pinterest increased by 191.18%! Still don’t believe me? That’s okay. You don’t have to. 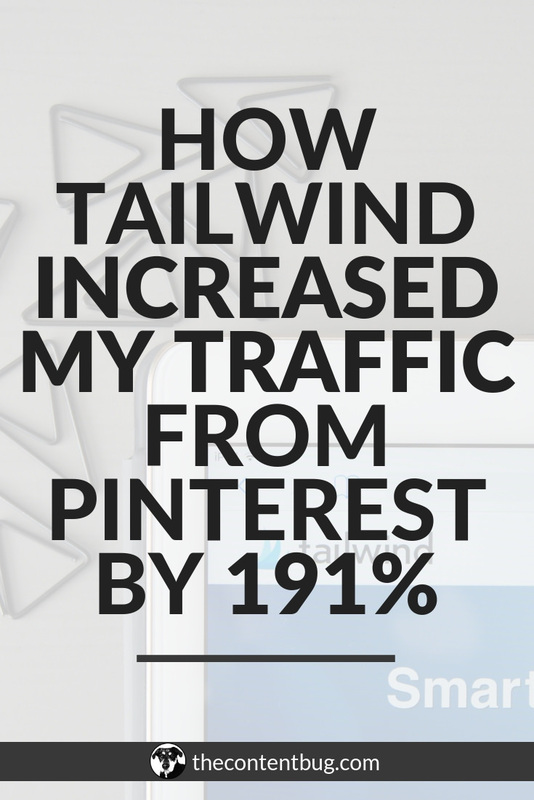 But keep reading if you want to learn how I used Tailwind to increase my blog traffic by 191%. With Tailwind, you have the option to batch schedule pins. Okay, okay, you’re right. Let’s take it a step back. You know on Pinterest how you have to pin each thing one-by-one? Well, have you ever run into the problem where you wanted to pin multiple things at once? Imagine you are looking for money saving tips, you want to save 5 pins to the same board at the same time. This would make your life a little easier, right? Well with Tailwind, you can do just that! Just download the Tailwind Google Chrome extension. After you download the extension, go to Pinterest. Then search a topic you might like a lot of pins from, like inspirational quotes. Click on the Tailwind icon at the top of your browser. Then select what pins you want to share on your account. Once you have all your pins selected, click the Go Schedule button in the bottom right corner. A new pop-up will appear with the pins that you selected. It is in this section that you can individually enter what board you want to pin the pins too. OR you can add the pins to the same board by typing the board name at the Add Board to Add option at the top. Then in the top right corner, select Schedule All. I love this feature because it saves me a lot of time! It can be a real lifesaver some days. Another nice feature about Tailwind is that they create a custom schedule that fits your followers. Your followers are unique, right? 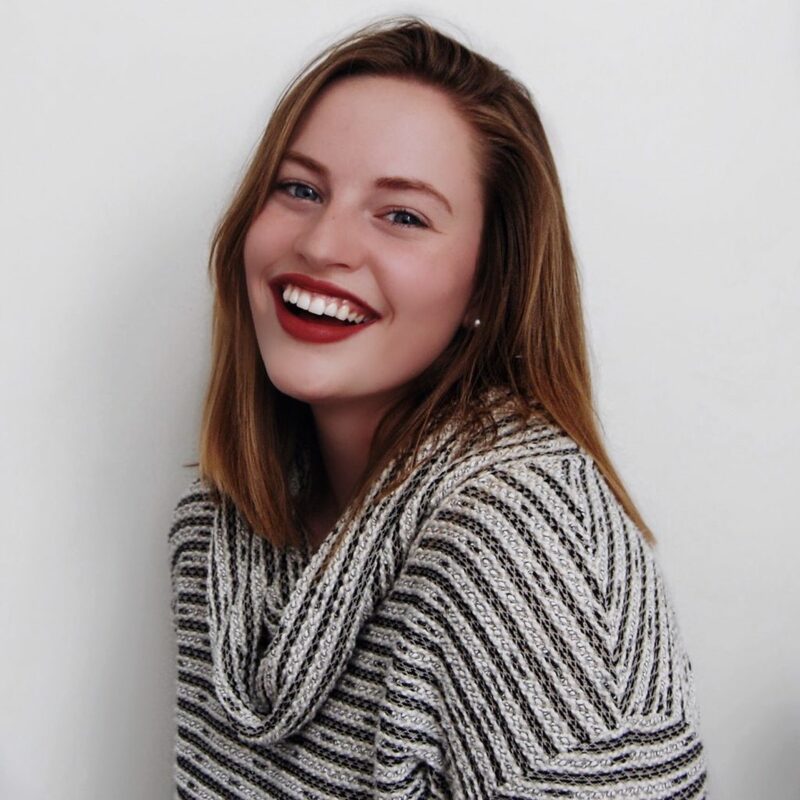 A beauty blogger might not have the same followers as a business owner. And every target audience is different with how they interact with Pinterest. Including when they are most active on the site. With the Tailwind custom time scheduler, Tailwind analyzes your audience and determines the best times for you to post. That way you appear in front of your audience when they are active on Pinterest. It’s really an awesome feature. And another great thing about it is that you get to change everything that you want to be changed. It is very hands on! So you get to set how many posts a day you want. And if you want more on the weekends than the weekdays, you can do that! It is a flexible program to fit your needs. Now, Tailwind only works if you put the time in. You can’t expect to only schedule 20 pins a week and think that your traffic will grow. Because it won’t. You need to put in the time to schedule at least 25 pins a day for it to work. And others may tell you that you need more or less pins a day, but 25 is my sweet spot. And that is what I try to strive for. But some days it is more than 40 pins a day. And sometimes it is around 25. It just depends on what days I choose are more important for growth. For example, Saturdays are big on Pinterest. A lot of pinners use the site on Fridays and Saturdays. So those are my 2 most active days. But anyway, let’s get to my results. In February, I spent the majority of my time on Instagram. And you can tell by my February recap that explains how I gained 1.1k Instagram Followers in a month. But I realized after that month, that although I gained 1.1k Instagram followers, I wasn’t impressed with the traffic that it generated. I only got around 20 clicks a week to my website. And some people might be impressed and happy with the number. But after looking at my analytics, I realized that my quality visitors came from Pinterest. So why not spend more time and effort on Pinterest, right? It was after this realization, I set a goal for March to enhance my Pinterest. And my goal wasn’t just to get more followers. But really enhance my Pinterest account. And that’s what I did! 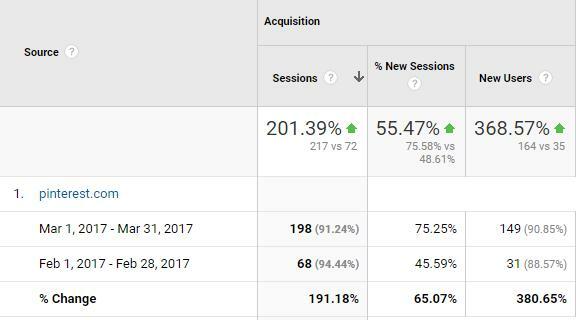 This is a screen grab from my Google Analytics, comparing my March traffic from Pinterest to my February traffic from Pinterest. In February, Pinterest generated 68 sessions and 31 of them were new users. But in March, Pinterest generated 198 sessions and 149 new users! This is an increase of 191% in sessions and over 380% in new users! Now, most of my traffic comes from Pinterest. And I owe it all to Tailwind. Besides an increase in blog traffic, I gained 264 followers. Now you may have noticed a few things. Yeah, sure… I went from 336 followers to 600 followers. But it’s more than that. I also followed 280 accounts. And these are all quality accounts that I am interested in. I search for the best Pinterest accounts to follow, and I did. And then I followed bloggers that I like to read. And this might have helped to gain some of the Pinterest followers. And I’m sure it did. But I also did a few other things to my account. Like I added important keywords to my description. And most importantly, I added keywords to my Name/Title: “Online Content & SEO Tips”. This helps as a description and as a keyword placement. So yes, Tailwind did help in some ways to gain more Pinterest followers, but I like to think that my other efforts helped as well. Now, this goes back to Tailwind. And I place full credit on the automation. This month, my reach increased by 43%. Now you might be wondering what “reach” even means. Your reach is how many people see your Pins and people who act on your Pins. Take a look at the growth through March. It was this graph that convinced me that my Tailwind efforts were really working for me. Because this all came from being more active and sharing more pins on Pinterest. It is those pins that increase your reach. So scheduling pins at the best practiced times really helped to enhance my reach. And it grew by 43%. And hopefully, in time, this will continue to increase! You can use Tailwind to grow your website’s traffic too! And guess what… the first 100 pins are free! So if you decide that you don’t like it after those 100 pins, there is no pressure to buy a plan. 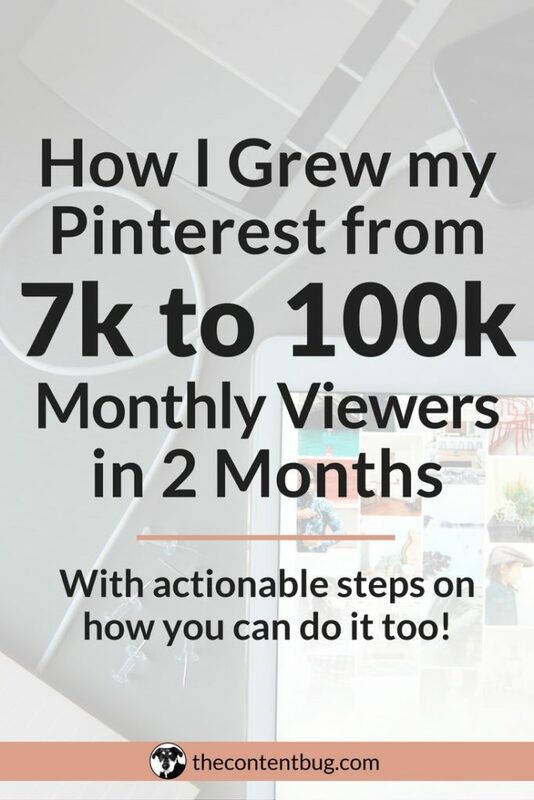 But if you want to take your Pinterest growth seriously, then I encourage that you buy a plan. For just $10 a month you get access to unlimited pin scheduling that is custom to your followers. Plus there are some analytics to see how your scheduled pins perform based on repins and engagement. And if you buy the Annual plan, you get 4 months free! That’s a savings of $40 a year! So go ahead and give it a shot! And make sure you stop back to let me know what you think. Does your Pinterest strategy seem a little outdated? Are you constantly wondering if you’re doing things right or if you’re doing them wrong? Let me perform an evaluation on your Pinterest account and current strategy to see how you can improve! Find out more information here. Hey Cath! Thanks so much for this awesome post! Starting to get a little more active on Pinterest and am already seeing the traffic results. One question for you though…How do you possibly have enough content to post 50 times per day? I understand re-pinning other people’s content (70%), but 15 pins per day of original content (30%) is unrealistic for me. I usually post about 1 blog post per week, and even if I created two original pins per blog post that’s only 8 pins for the month…Can you help me understand what I’m missing here? Thank you!! That’s actually a really great question! For me, I launch at least 1 blog post a week. But sometimes, I’ll launch 2 or 3. But the pins that I’m sharing from my own website aren’t always fresh new content! When I launch a new blog post, I share it on an average of 30 boards. That means that just that 1 pin has to be scheduled into 30 timeslots. Plus I shuffle through my old blog posts and reshare them to specific boards. So the 15 pins a day that I’m sharing from my website aren’t always new content. Most of the time, it’s actually old content! 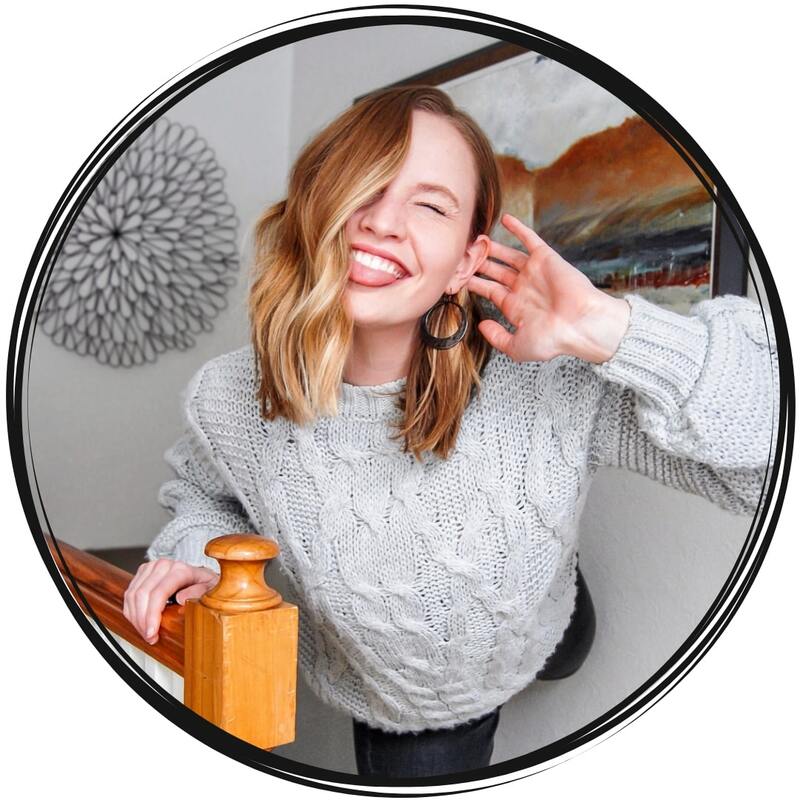 Plus, I share my YouTube videos and Instagram photos on my Pinterest account. So those count in my eyes because they are still leading to my channels! So don’t worry about sharing 15 new pins from your website a day. Like you said, that’s a bit unrealistic. 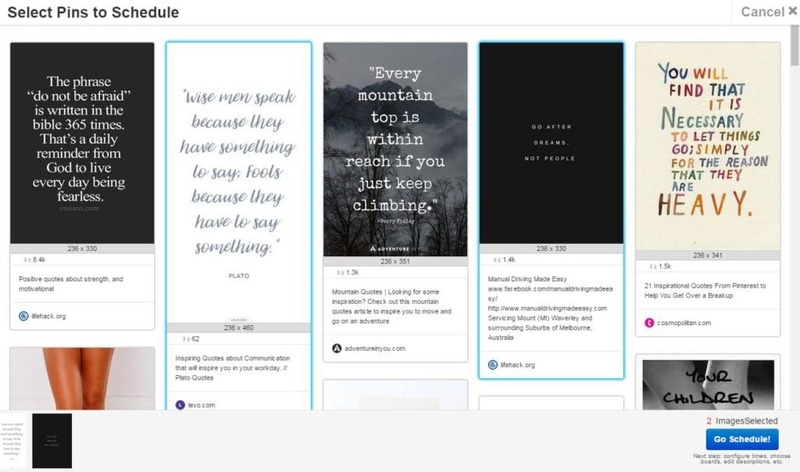 Instead, reshare some of your older pins across a variety of your own boards and group boards. If you have any other questions about Pinterest or Tailwind, please let me know! Ah okay! So let’s say I have a new blog post about Colombia. I could post it to my Colombia Travel board, my South America Travel board, my Wanderluluu Solo Travel board and then post it to 10 other relevant group boards which will all go to different time slots when I schedule through Tailwind? So that would be considered 13 original pins? Correct? Yep that’s 100% correct! 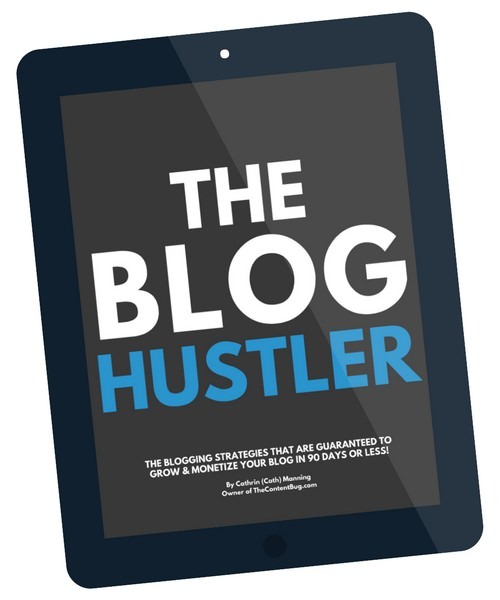 That way you can easily fill up that 30% with the blog posts you already have!